Creating Vermont wedding memories that will last a lifetime. Getting married? Think of getting married in New England? 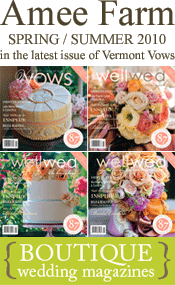 Thinking of getting married in Vermont? Riverside Farm is a magnificent private country estate in Pittsfield, VT, the perfect location for your Vermont destination wedding. Located in the middle of the Green Mountain range on 300 perfectly maintained acres, the Riverside Farm is the quintessential location for getting married in Vermont. 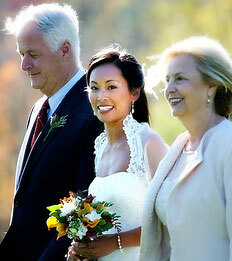 Weddings at Riverside Farm are the perfect blend of city chic style in tradition elegant country setting. Located in the middle of the Green Mountain Range in Pittsfield, Vermont, the estate is close to local premier ski resorts, like the Killington resort, and near other outdoor venues, for activities like mountain biking or camping. It is easy the make your Vermont wedding unique by including hot air balloon rides, fireworks, outdoor barbeques and horse rides in the warmer months, or cozy fire-side wine tasting, delicious catered dinners, dog-sledding, snow shoeing or sleigh rides in the winter months. Set in a winter wonderland or in the fall foliage, Riverside Farm is the venue for Vermont weddings, and its staff will ensure that is run smoothly helping you and yours create memories that you will cherish... Always and Forever!